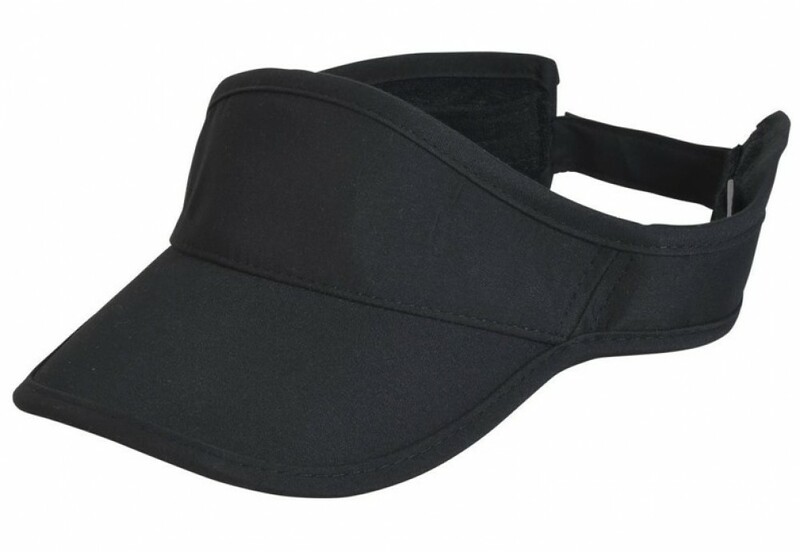 For sports lovers standing in queues, watching the game and enjoying the after-barbie, this sports visor is the perfect accessory to keep you cool, fresh and stylish looking. It has a distinctive curved shape that sets it apart from its peers in the fashion world. A inset terry towelling sweatband adds functionality in hot weather conditions. Choose from solid colours in black, navy, red and white or go for a two-tone in white and light pink or white and royal. The visor is made from microfibre fabric, a modern synthetic that washes well in cool or lukewarm water. It air dries in the sun and will never fade or lose its shape. All our hats are manufactured to the highest standards with strict quality control procedures at each step of the production line. Use these caps as great promotional give-aways to get your corporate brand exposed at outdoor events. You can add a hat band in a colour of your choice that can be embroidered with your unique corporate logo.